Our client, a large local authority, had undertaken a refurbishment program of works across several decades. Several of the properties were now showing issues with high energy builds and in some cases internal mould growth. On paper the properties should have been performing far better as they had been cavity filled in the late 2000's and had been double glazed in 2010 with boiler improvements in 2014. A fast low cost inspection program was required to determine the cause of the issues. On receipt of the clients stock list, IRT created an efficient survey plan allowing us to survey regions quickly and with minimum disruption. The front of every property was thermally imaged by our surveying team and the exact gps location and time/date logged automatically. Total survey time was 32 evenings/nights. 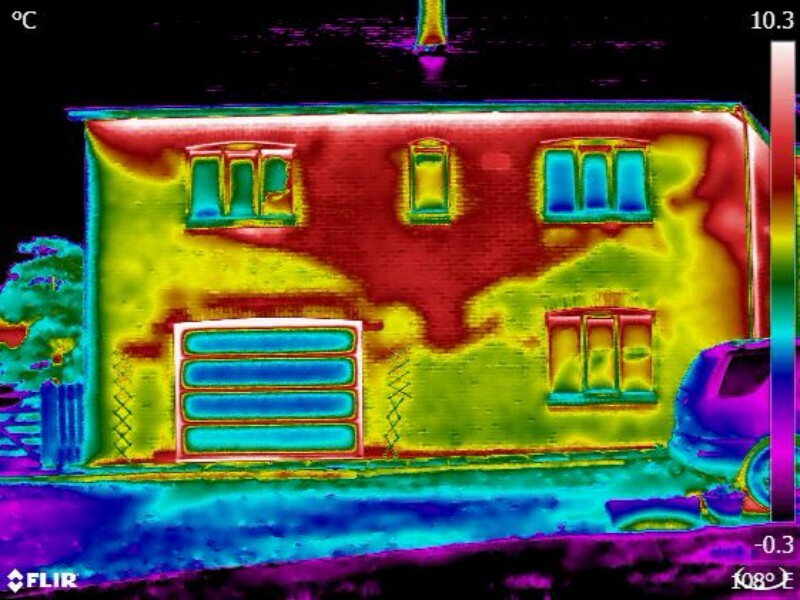 This data was then processed using our bespoke Envision software to determine regions of the property indicative of possible insulation defects. Envision builds 2 theoretical models of the property, one as if it were perfect and another with the identified defects in place. 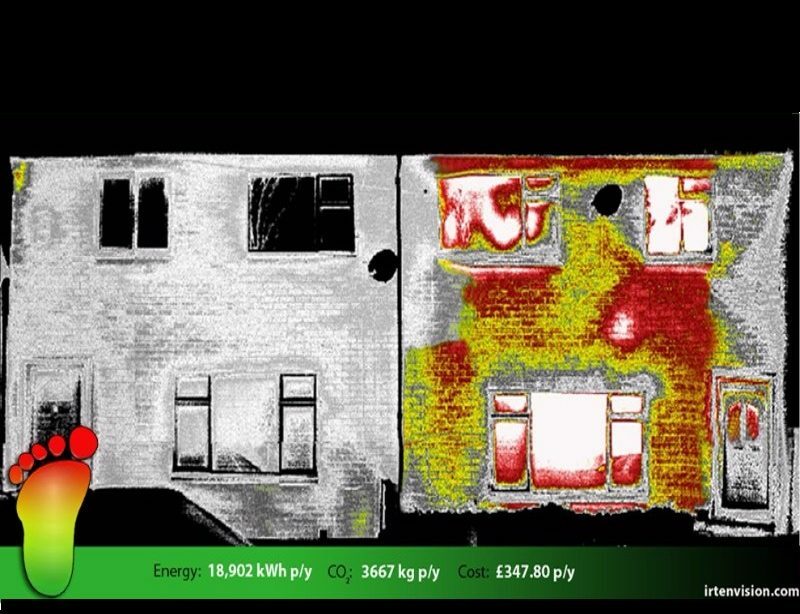 Energy use and CO2 output are determined for both models resulting in each anomaly being quantified for its impact on the building allowing every property to be ranked and rated. 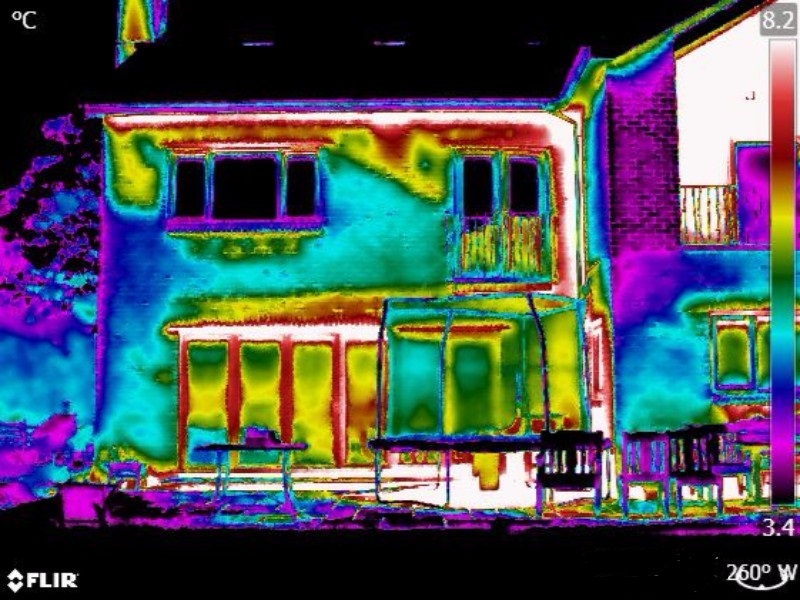 Envision produces an As Built SAP and EPC rating along with an actual comparison, in addition to this Envision also runs a range of "what if" scenarios, such as Roof improvements, improved double glazing, boiler changes, and reports on the impact of each in terms of £s, kWh and CO2 saved per year.